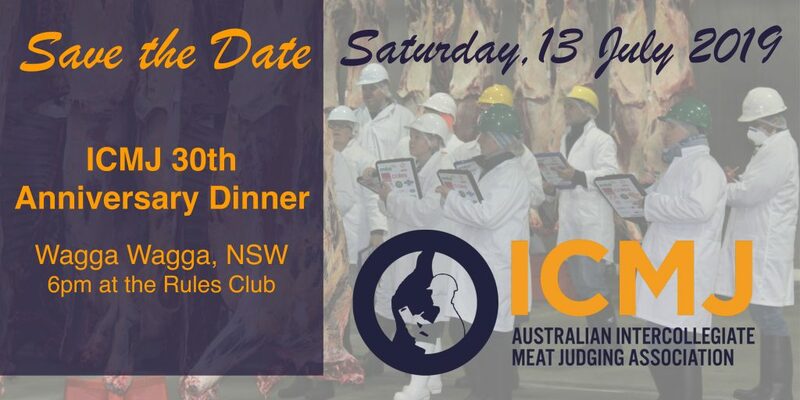 The ICMJ 30th Anniversary Dinner will be held in conjunction with the ICMJ competition at Wagga, on Saturday the 13th July 2019. We invite all our alumni and partners to attend this evening to help us celebrate 30 years of impact the ICMJ program has had on the Australian and global red meat industry. Full details and ticketing will be released here as they become available. We hope you can join us on the 13th July at Wagga Wagga!